Mentor Education's nationally recognised Certificate IV in Financial Services (FNS41815) qualification provides individuals the education platform to commence work in the financial services sector. The Certificate IV in Financial Services is an entry level qualification aimed to provide individuals a flexible general-purpose pathway in the financial services industry. Delivered online, this qualification accommodates both individuals with no formal training qualifications and candidates either seeking to or currently working in financial services roles. 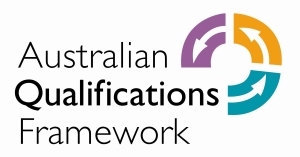 Mentor Education's Certificate IV in Financial Services (FNS41815) is a nationally recognised qualification, complying with the AQF standard and ASQA standards for Registered Training Organisations. The Certificate IV in Financial Services is an entry level qualification aimed to provide individuals a flexible general-purpose pathway in the financial services industry. Delivered online, this qualification accommodates both individuals with no formal training qualifications seeking a relevant financial services qualification and those seeking an entry point for transition into further education. The Certificate IV in Financial Services aims to meet the training needs of employees with roles that involve working across a range of duties in the financial services sector where a specialist qualification is not the most suitable qualification to meet their training needs. With over 15 years’ experience and more than 20,000 students, Mentor has a well-earned reputation as the largest privately owned financial services, accounting and business education provider, with full student support, quality training and assessment and linkages to employers, aggregators, mentors and the broader industry. Upon successful completion of this course, you will be awarded the nationally recognised Certificate IV in Financial Services (FNS41815) qualification. This qualification has been designed to accommodate both individuals with no formal training qualifications and those seeking an entry point for transition into further education. The program is particularly suitable for candidates currently working in financial services roles who are seeking a formal qualification to enhance and confirm their existing knowledge and skills. This is an open entry course with no pre-requisite qualifications. In order for you to successfully complete this qualification, it is strongly recommended that students have a strong grasp of computer/technical skills, Microsoft Office installed on their computer, access to a reliable high-quality internet connection and adequate literacy/numeracy skills. The total duration for the course is 870 hours which will be delivered over a 12-Month period. This course is delivered online with a combination of self-directed learning and trainer guided learning. Mentor Education's Certificate IV In Financial Services (FNS41815) is the a great choice for individuals who are currently in a bookkeeping or BAS agent role, and those who are looking to break into the industry. If you want to graduate at the leading edge of this field with the skills and knowledge to get ahead in the industry, then this is the course for you. ..Mentor Education's assistance with helping me with both Diploma of Financial Planning and the Adv. Diploma of Financial Planning has been fantastic. I really appreciate their guidance and assistance with helping me obtain my qualifications. Your prompt email responses to my queries are also greatly appreciated..